Its summer and that means more ice cream stops which me and my kids love to drop into our local Baskin-Robbins for a nice refreshing ice cream cone. Living in Poinciana there is not much here and our local Baskin-Robins is about 45 mins away so it's truly a treat to enjoy, but I wish we could enjoy it more often. Now we can! Baskin-Robbins ice cream is now sold in your local grocery stores. With 16 flavors to choose from you will be sure to find a favorite Baskin-Robbins ice cream, which comes in a handy 14oz. My personal favorite is Old Fashioned Butter Pecan I don't think it can ever go wrong and it sure helps my summer feel a little cooler. 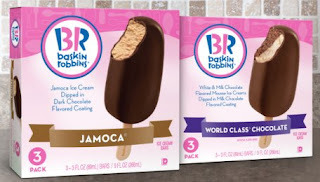 It gets better not only can you purchase Baskin-Robbins ice cream in a carton you can also now purchase ice cream bars. The ice cream bars come in 3 chocolate coated flavors of Mint, World Class Chocolate and finally my personally favorite Jamoca. 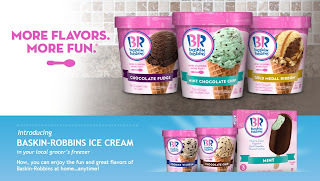 To find these great products from Baskin-Robbins check out the link here. 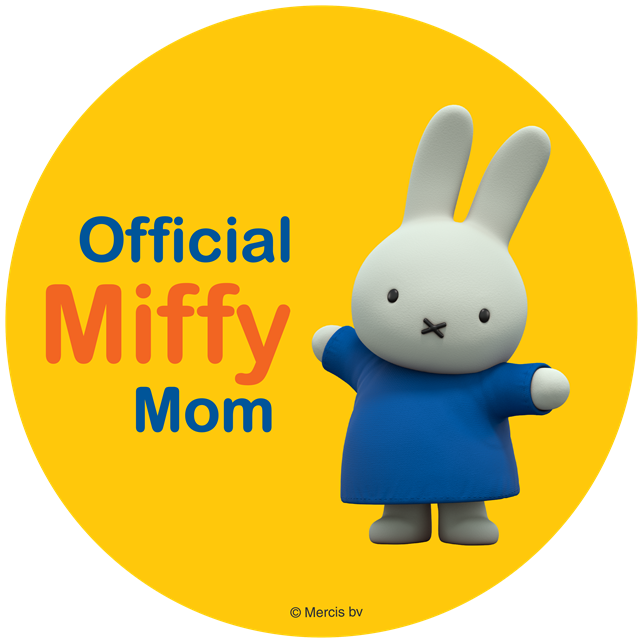 Wanna visit a Baskin-Robbin or find out what flavors they carry check them out here. Some of your local Dunkin Donuts have a Baskin-Robbin inside as well.